The NSW Education Standards Authority replaced BOSTES on 1 January 2017. (BOSTES referred to the Board of Studies). St Joseph’s follows the guidelines set out by NESA when planning, implementing, assessing and recording teaching and learning sequences. 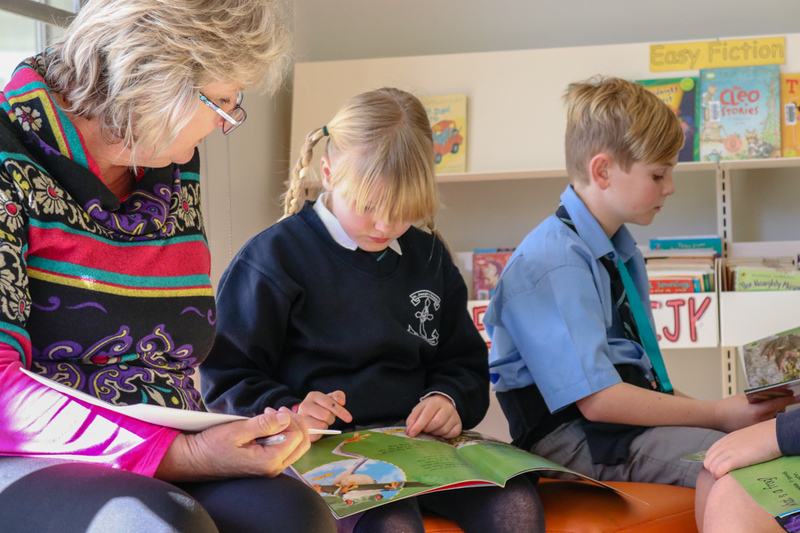 Schools within the Lismore Diocese use the Contemporary Learning Framework (CLF) as a lens for planning quality teaching and learning. Regular classes are supported with learning support and enrichment teachers and paraprofessionals. These programs assist us in catering to individual student needs. These programs are supported by assessments completed by teachers, or by professionals in related areas e.g. speech pathologists, occupational therapists, so that students’ needs can be more carefully met. The Enrichment Program seeks to identify and support potential in students, who require particular extension in various academic disciplines. The Enrichment Program provides a variety of challenging learning opportunities which seek to cater for the different intelligences of children. 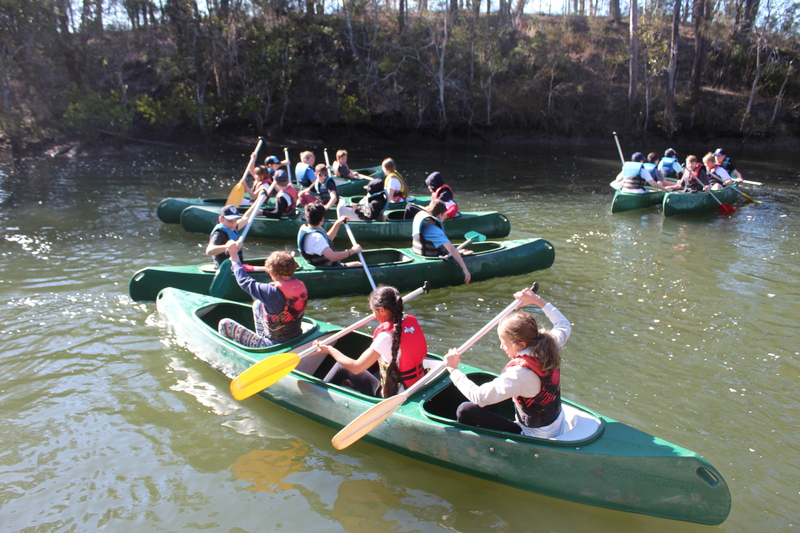 Consequently, the groups composition is flexible and dependent upon the focus of the Enrichment Program offered. Students are encouraged to participate in various enrichment activities including the Premiers’ Reading Challenge, NSW Academic Competitions, Creative Minds, Tournament of Minds, Public Speaking competitions, Eisteddfods as well as many in class activities. Children who need assistance in a particular area of learning are identified by both norm-referenced tests and teacher made assessments. Selected students are given assistance on an individual and/or small group basis within the cohort. This Learning Support Program is provided in each grade. Students with significant additional needs are supported through the implementation of their Personalised Plan (PP), in consultation with parents and other professionals. The school also provides many extra-curricular activities. These activities include school choirs, gardening club, band and musical tutorials, Early Bird Reading, Homework Help, Library lunchtime activities, Premier’s Reading Challenge, English, Maths, Science, Computer, Writing and Spelling competitions, school discos, Creative and Practical Arts evenings, chess club, card club, after school and holiday sports, ICT, Art and Speech and Drama programs. The school is constantly promoting our responsibility to the development of community in Port Macquarie through our participation and support of St Vincent De Paul, the Soup Kitchen, Relay for Life, Port Macquarie Eisteddfods, Anzac Day and Remembrance Day ceremonies. St Joseph’s Primary School has a strong and innovative partnership with the University of Newcastle, Port Macquarie Campus. This partnership was awarded a National Australia Bank Schools First Award in 2012. This partnership enables us to provide more contemporary and personalised learning experiences for our students to ensure their success in literacy, numeracy and science. Sport plays a significant part of both the physical and social development of all students. At St Joseph’s there are many opportunities for the students to develop the Fundamental Skills that help with a wide variety of sports and games. At St Joseph’s students through years K-6 have the opportunity to be involved in weekly Physical Education Lessons. These lessons usually focus on Fundamental Movement Skills as listed by the NSW Board of Studies. Years K-2 take part in sports lessons throughout the week. These lessons focus on teamwork and cooperation as well as draw on skills learnt in PE Lessons. 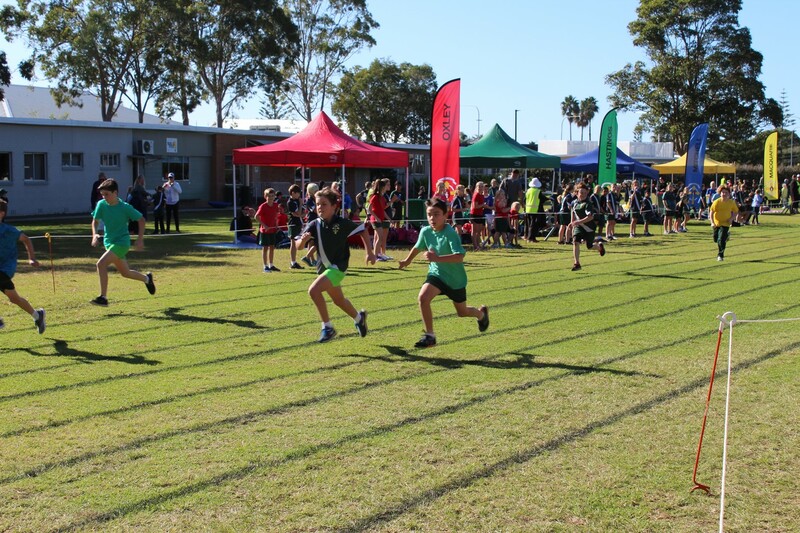 K-2 participate in an Athletics Carnival, Cross Country and Swimming Carnival. Talented students who are 8 years of age have the opportunity for selection in Hastings and Diocesan Representative Teams for Athletics, Swimming and Cross Country. Students also participate in gross motor skills and development through our Bounce House. Students participate in specialist Gymnastics lessons and complete a two-week Intensive Swimming program in Term 4. Years 3-6 participate in a range of different sports throughout the year. These lessons focus on building teamwork and cooperation skills as well as playing games involving strategies and other specific skills. During Term 4 students choose their own elective sport including tennis, and ball games. These sports take place at school. Students aged 8-13 years participate in Swimming, Cross Country and Athletics carnivals throughout the year. Further opportunities are available to students for selection in representative teams within the Hastings Zone and Lismore Diocesan levels before proceeding to Polding. Selection here results in representation at the Primary School Sport Association (PSSA) State level. Representation opportunities available for students attending St. Joseph’s Primary are: Swimming, Cross Country, Athletics, Summer Sports and Winter Sports. The Diocese of Lismore Sport online site provides valuable information for students representing Zone, Diocesan, Polding or NSW. Information includes a calendar, updated weather or venue changes and results. The well-being of students is paramount at St Joseph's. The following resources support our Pastoral Care and student well-being initiatives and programs. 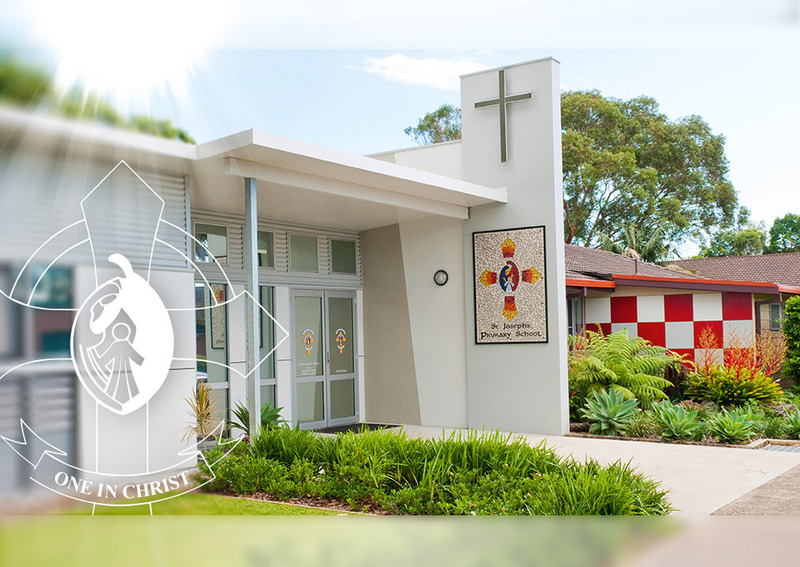 Families wishing not to have their children involved in any of the school chaplaincy programs should direct their requests to the School Principal. If parents wish to have their child meet with the school chaplain, please contact their class teacher or the School Office as soon as possible. As always, if parents have a concern with the program they should contact the Principal immediately. Disclaimer The views expressed herein do not necessarily represent the views of the Australian Government Department of Education, Employment and Workplace Relations. Acknowledgement This project was funded by the Australian Government Department of Education, Employment and Workplace Relations under the National School Chaplaincy and Student Welfare Program. Any evaluation surveys conducted must ask participants if they are aware of the source of funding for the activity and, if so, how they became aware of the funding source. A School Counsellor is employed at St Joseph’s as part of our Pastoral Care and student well-being initiatives. If you would like your child to see the Counsellor, please contact the School Office.